In 2004, the Classic NES series that defined the way gaming is done on the modern times were re-released. The Famicom Mini or Classic NES series offer you a chance to have some wonderful classics with additional features on your lovely Gameboy Advance or Nintendo DS/DS Lite system. One of those was Super Mario Bros, the game that defined the whole platformer genre back in the day. A complete Pixel Perfect Replica was controlled smoothly and had additional features that made the game unique. Bowser and his evil sidekicks have invaded the Mushroom Kingdom and kidnapped Princess Toadstool. 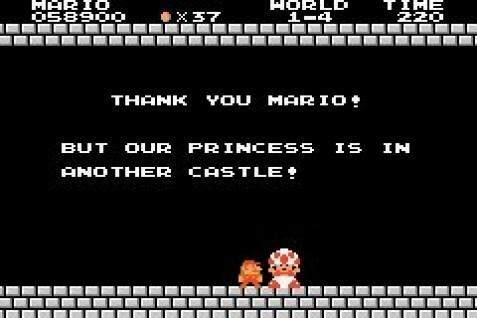 Mario has come to rescue the damsel in distress and kick some Koopa! Relive the glory days of the 80’s on your Game Boy Advance as you join Mario on his Bowser-bashing Classic NES adventure! 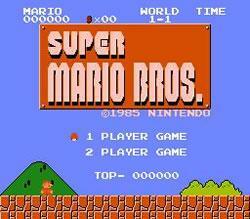 Super Mario Bros. defined the side-scrolling genre and propelled the heroic plumber to superstardom. The multiplayer option for the classic port requires a game link cable to utilize. Classic NES Series: Super Mario Bros. is a port of the classic Super Mario Bros. for the Game Boy Advance. See the Super Mario Bros. section for further information. Gameplay is the same as good old Mario, with a little twist. You can still move with the D-Pad on your portable system, and jump with and B, however if you need to take a break you may open a menu with the L and R buttons and save your high score! Even further you may just put your Gameboy Advance in ‘sleep mode’ to take a shorter break or reset the game. This wonderful menu also allows for you to link with another Gameboy Advance so another player can join and enjoy the game as well! Super Mario Bros. was released in 2004, it was a mild reception because it was just one game for 20$ back in the day, nonetheless it was still Super Mario Bros. and received an IGN score of 8/10, while Game Informer gave it a 9/10 stating that it’s the “cream of the crop in retro goodness”. A USA TV Commercial for the Classic NES Series re-releases. The Mushroom king appears in many Asian-drawn Strategy guide illustrations. This game, as many of the Classic NES series is emulated on the Gameboy Advance, the colors are the same as they were on the TV and it is slightly stretched to cover the whole screen. The clouds and bushes use the same sprite set with different colors. Every single sprite on the game has four different color schemes that may be used on different situations. Such as Blue, gray and brown goombas, red and green Koopa troopas and Paratroopas and several colored Piranha plants. Bowser has only one pallete scheme and is the exception. 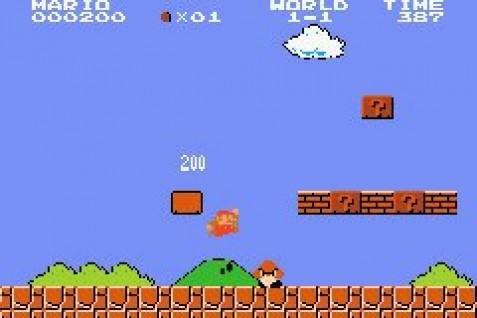 The programmers saved up space greatly by using the same fanfare when you lower the flag on the flagpole as the Mushroom and Pipe sound effect. Goombas were the last enemy placed on the game, as Mr. Miyamoto decided that an enemy that could be beaten with a single stomp should be in the game. Hammer Bros advance at you after a while, just wait.